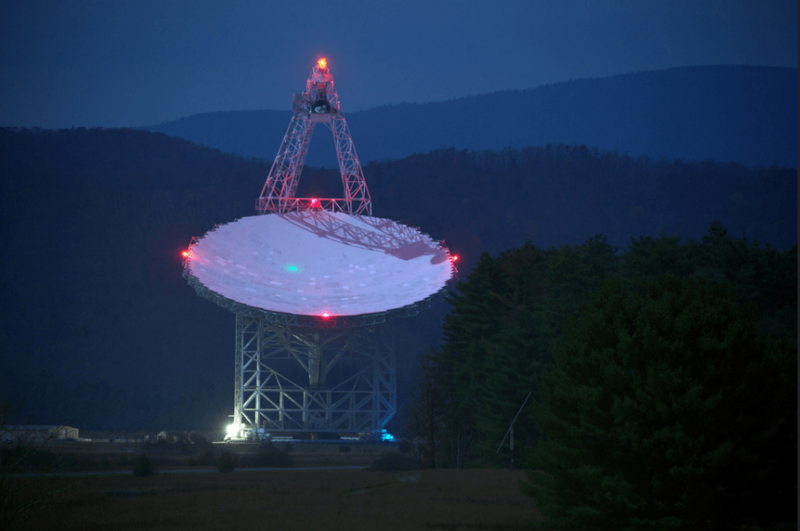 The Robert C. Byrd Radio Telescope at the Green Bank Observatory in West Virginia is one of the primary receivers looking for promising SETI signals. The Search for Extraterrestrial Intelligence (SETI) has been going for nearly 60 years now, and there have been plenty of false alarms in that time and nothing substantial. Now, a giant SETI initiative is looking into its initial round of data to follow up on 11 signals that they think could be aliens … but admit probably aren’t. Good to check, though, just in case. Two years ago, billionaire Yuri Milner put $100 million into a decade-long search for aliens known as the Breakthrough Listen initiative. It was the widest-scale SETI project announced since Project Phoenix in 1995, which itself was the successor of a cancelled 10 year, $100 million SETI effort by NASA. Breakthrough Listen is spearheaded by SETI Berkeley and taps into the wider SETI community to listen in worldwide for radio signals that might be artificial. They’ve also opened up the data to the public at large to look for narrowband signals — those in a specific wavelength that are more likely to be from a non-natural source. There are 692 targets in the initial rounds of data. The news is coming out of a two-day conference in California from the Breakthrough Initiatives organization, which is also sponsoring Breakthrough Starshot, a project based on using laser propulsion to power tiny spacecraft to the Alpha Centauri system (specifically Proxima Centauri) in a matter of decades. A live broadcast will take place today on Facebook at 6:10 p.m. EST (3:10 p.m. PST) with Andrew Siemion of SETI Berkeley discussing the initial results. You can watch it here.